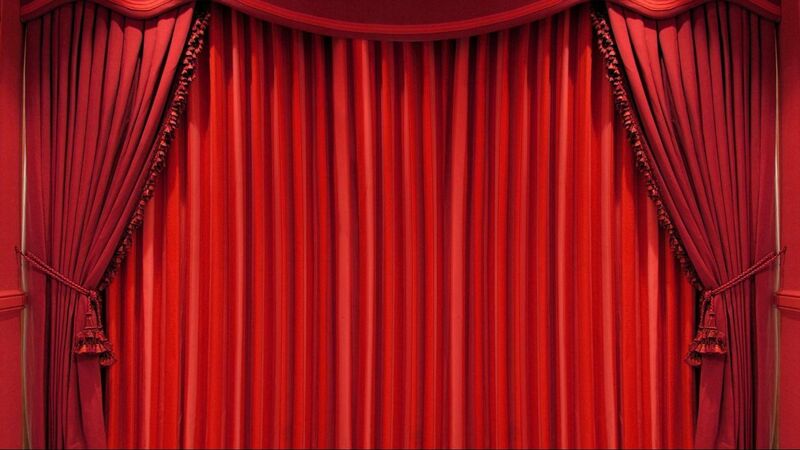 The anticipation is nearly over. 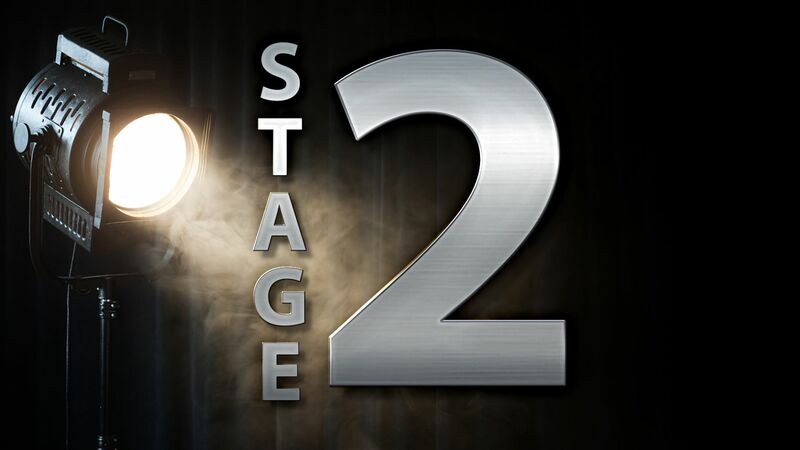 Wichita Theatre's Stage 2 is just a short few weeks away from completion. Details on opening and ticket pricing will be posted soon. Stay tuned! 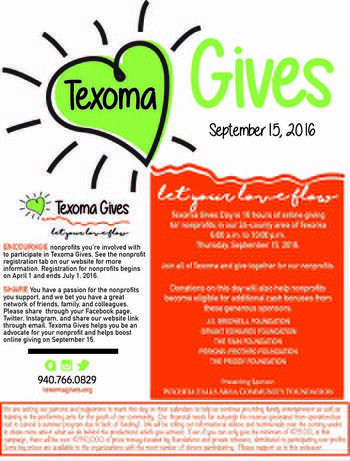 Here is how YOU can help the non-profit organizations in Texoma! Please click here to read about this very important day...and how you can help. 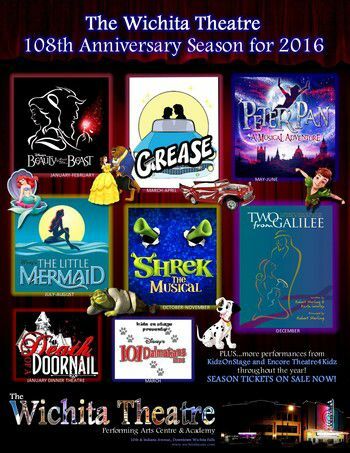 Here's the lineup for our 108th Anniversary Season for 2016. 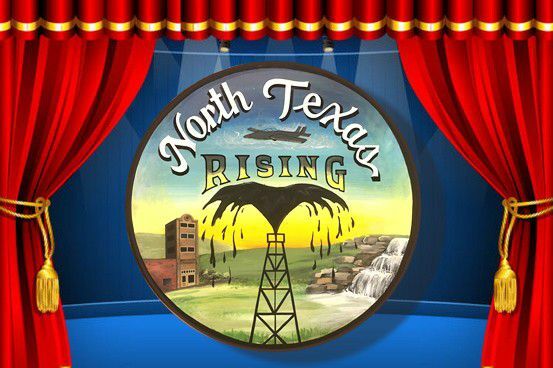 For complete details on Season Tickets, call us at 940-723-9037 (Tue-Fri, 11am-5pm). 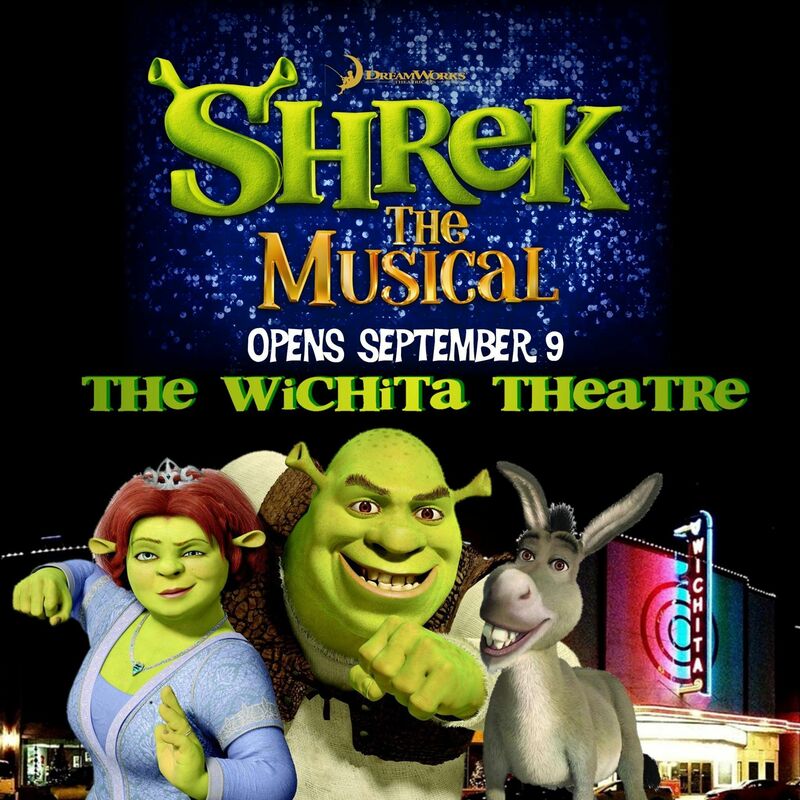 The Wichita Theatre can make your child's next birthday party something very special and memorable. 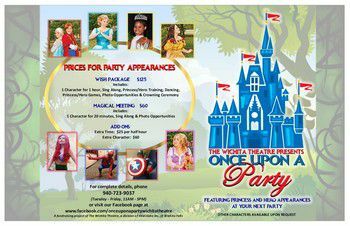 For complete details on having a Princess or Hero at your next party, give us a call at 940-723-9037 (Tuesday-Friday, 11am-5pm) or visit our Facebook page at:https://www.facebook.com/onceuponapartywichitatheatre/?fref=ts. 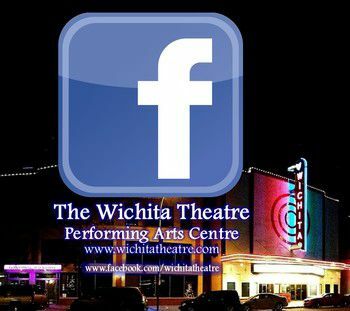 The Wichita Theatre's Facebook Fan Page is now easier to find...and join! "Like" us on Facebook TODAY if you haven't aready done so! Thanks to everyone who attended Little Mermaid this summer. The cast, staff and crew appreciate your support and kind words. Well, we can't rest on the success of Mermaid as the set is already torn down and Shrek is going up. Tickets are now on sale so don't wait to get your choice of seats. Gonna be AWESOME, once again.